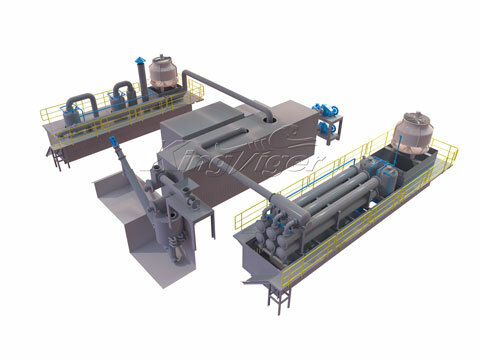 In recent years, many people have earned lucrative profits from waste pyrolysis plants. They want to dispose more waste plastic to get more earnings. 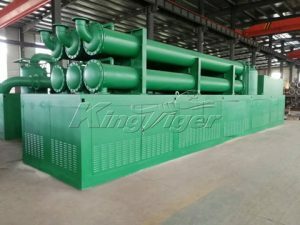 Kingtiger continuous plastic pyrolysis plant is the best choice. 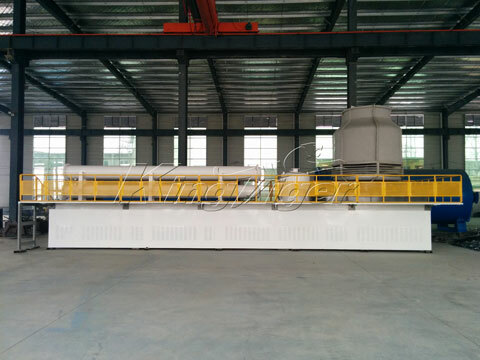 Our fully automatic waste plastic pyrolysis plant can treat 20-24 ton waste plastic per day, with the models of BLL-30. 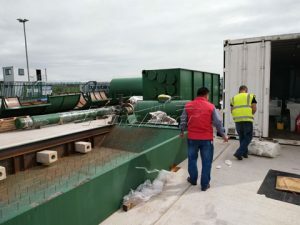 Pretreatmemt system: waste plastic shall be pretreated by dryer and crusher. Dryer can remove the moisture. Crusher can crush large plastic into pieces. 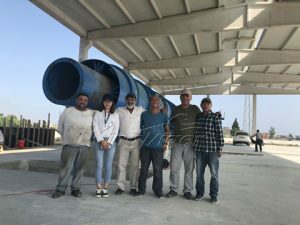 Pretreatment system can improve efficiency and prolong working service of the whole continuous waste plastic recycling plant. Pyrolysis reactor: not rotary type. Discharging system: this system is automatic, green and safe. Cyclone dust removal device for oil vapour. Extra gas purifying and recovering system, extra gas burner. 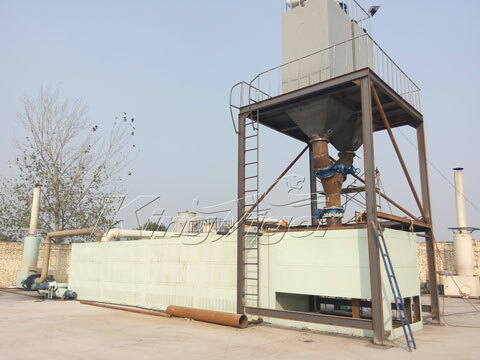 This continuous plastic pyrolysis plant is also can be used to dispose waste tyre/rubber. 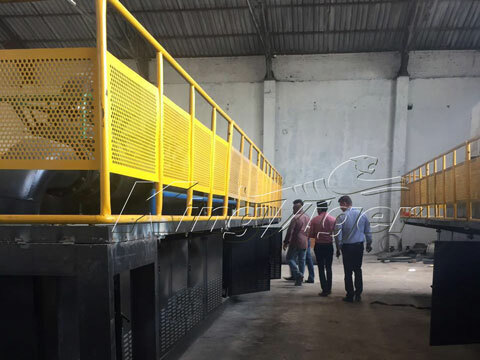 The difference between fully automatic waste tyre pyrolysis machine and continuous plastic pyroysis machine is the pretreatment machines. 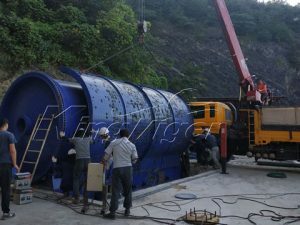 The detailed process is the same as waste plastic pyrolysis plant. 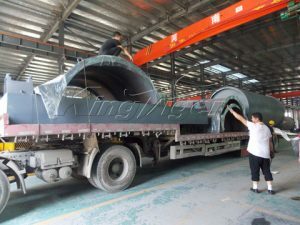 Exhaust gas: exhaust gas will be sent to hydroseal and burner. This way can eliminate the exhaust gas pollution and save a lot fuel. Dust shall be treated by water spray type dust remover; the dust will be discharged only after it can meet with emission standard. Waste water: there is weak-acid waste water from pyrolysis. It will be neutralized by weak alkali liquid. After been cleaned by a triple filer, the neutral wastewater will be sent to evaporator. Heat source of evaporator is the flue waste heat of reactor. Waste residue: there is some solid reside from continuous pyrolysis machine, its main component is carbon black. Carbon black can be sold directly, or can be processed into fine carbon black by our professional carbon black processing machine. 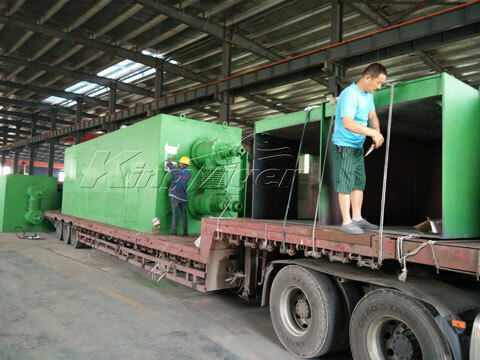 Kingtiger continuous plastic pyrolysis plant for sale has become more and more popular in the international market. 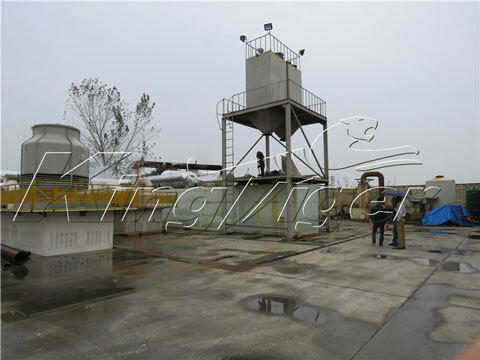 To meet more customers’ requirement, Kingtiger also has batching pyrolysis plant and semi continuous pyrolysis plant for sale, which have different advantages for disposal of waste. 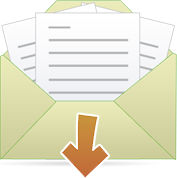 If you have interest in dealing with waste plastics, please contact us right now!